When the days get shorter, the temperatures drop, and Old Man Winter fluffs up your pillows, it's time to reinforce your wardrobe with a warm, functional winter jacket. The right winter jacket is a shield against snow and cold. Like the winter tires on your car, you should put it on no later than the first snowfall. Imagine a cold, clear winter day. You're wrapped up tight and protected from wind and weather. Nothing beats stomping through the snow and enjoying the romantic winter landscape around you. With a protective winter wardrobe, the cold won't bring your winter hiking adventure to an early end. Your teeth won't chatter and you won't lose feeling in your limbs, either. A functional winter jacket doesn't just keep the body warm. It protects men, women, and children from wind and weather during all outdoor activities. Sleet, snow, wind, and rain don't stand a chance against a high-quality winter jacket or the body it's made to protect. 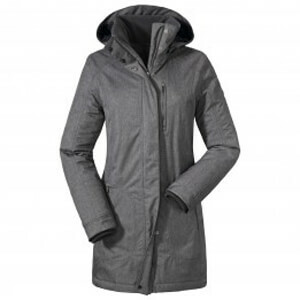 Winter jackets for women differ from men's models in design and cut. Nobody needs to give up on finding the perfect fit! It depends on the intended use! Which winter jacket for which winter adventure? Ambitious mountaineers and alpinists look for a different jacket model to use for leisure hiking. Winter athletes such as skiers and snowboarders look for specific properties that are seldom found in warm everyday jackets. Weight, function, and robustness matter when you're climbing, mountaineering, or on an alpine tour. Winter jackets for ambitious mountain sports can't skimp on a windproof, waterproof, and breathable membrane. During a sudden storm or snowfall, a waterproof hardshell jacket protects the mountaineer from cold and moisture. In extremely cold temperatures like those on high-altitude expeditions, mountaineers rely on an ultra-light down jacket as an extra insulation layer. Down jackets have a certain advantage. The down filling is very heat-insulating and lightweight. That's why they take up very little space in your backpack. Sport climbers and boulderers put on down jackets between climbing routes to prevent excessive cooling. A good winter jacket should keep alpinists dry from the inside during strenuous activities like ski tours, snowshoe tours, and ice climbing. The moisture from sweat should escape through the permeable membrane. 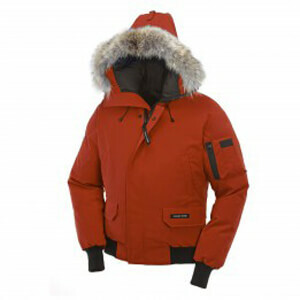 Skiers and snowboarders should choose a special ski jacket. Ski jackets tend to be more heavily lined, but they are just as waterproof and windproof. Skiers and snowboarders treasure a few special features on their jackets, both on the ramp and in deep snow. These include ankle snow gaiters, multiple inner and outer pockets, a long cut, and a helmet-compatible hood. Skiing is more fun when you have a functional wardrobe. And if it also looks good, that's even better! The recommended use plays an important role when you're buying a winter jacket. Where, when, and during which activities should you wear the jacket? What should and shouldn't it be able to do? If you enjoy mountain sports or outdoor activities, take care in choosing the right outer layer. It will help you enjoy wonderful winter experiences in the mountains.